Great news for stealth video game fans: Hitman series will be back this year with a direct sequel to the 2016 edition of HITMAN. Glacier was one of the first proprietary engines that supported DX12. The performance of the game with the new API was a hit or miss initially - AMD Radeon dGPUs could utilize DX12 to good effect in selected missions / locations, NVIDIA dGPU owners on the other hand were better of sticking with DX11. 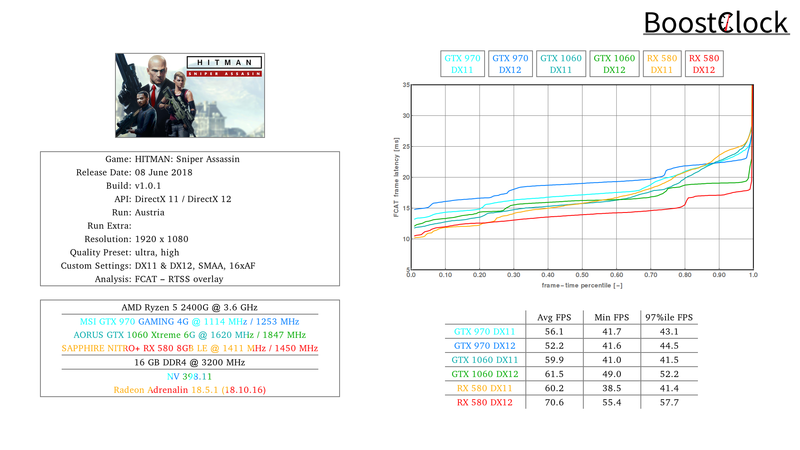 More recently, NVIDIA high-end cards perform equally well with both APIs. 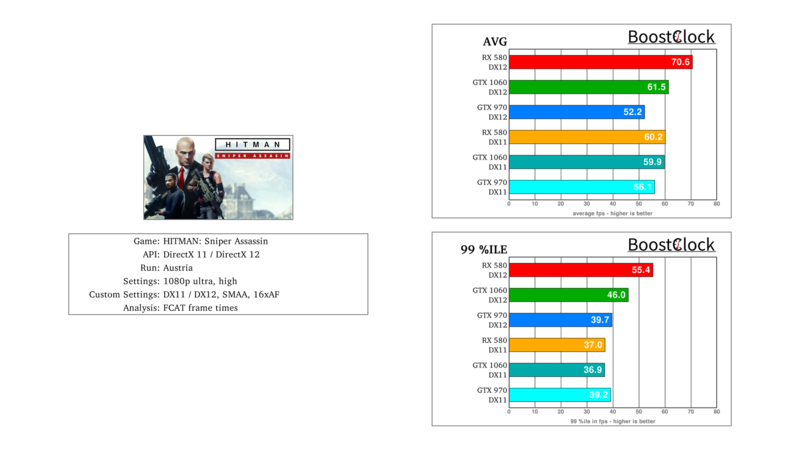 How things shape up with Sniper Assassin, a pre-order bonus for Hitman 2 with the GTX 970, GTX 1060 and RX 580? 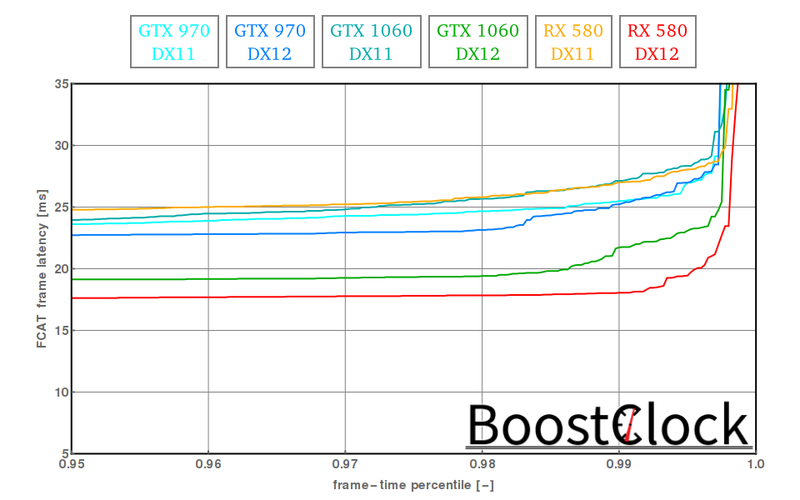 The gains with AMD's Polaris-based RX 580 are huge in both the average and 99 percentile metrics with DX12. The frame pacing improvement with the explicit low-level API is astronomical for the GTX 1060 and RX 580. 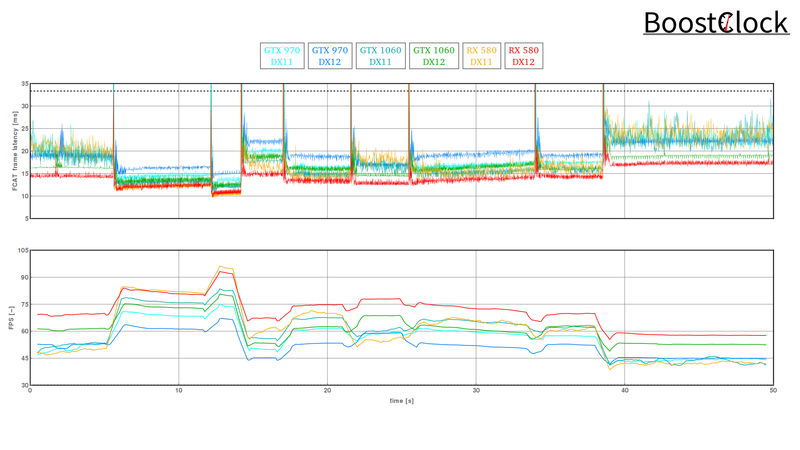 Note the increased memory utilization in DX12 as well, GTX 970 runs out of VRAM and may account for its performance under DX12.